Gayle Tzemach Lemmon — Aspen Ideas Festival: Everyone Will Tell You ‘No’-Advice from women who lead. 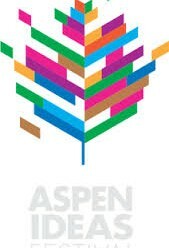 Aspen Ideas Festival: Everyone Will Tell You ‘No’-Advice from women who lead. I have never had to look farther than my family for inspiring leaders and role models, who taught me that to be an adult meant to look at the world for what it is, take the setbacks where they come, and keep pushing forward, no matter what. My mother was a single mom who worked at the telephone company in Maryland and sold Tupperware at night. I sometimes joined her at these Tupperware parties, passing out pencils for the icebreaker games and helping carry in our samples. And she meant it. She meant that perspective was critical, and that many people have genuine suffering to contend with as a daily reality. She meant that we needed to be thankful for all that we had, and to never give up the work to do better for ourselves. And she meant that looking for things to be easy was fruitless, and an utter waste of time. Instead, we should look to master the current circumstances and make them better. My aunt comes from Juarez, Mexico. She is a survivor of domestic violence who never finished high school, and she is among the wisest leaders I know. When I told her I was considering applying to business school, but that a few folks told me about how hard it was to get accepted, she stopped me immediately. “Never import other people’s limitations,” she said. And she was right. Everyone will tell you “no.” Everyone will tell you it can’t be done… until you do it. And then they will assemble to tell you how happy they are you followed their advice and pushed forward. People don’t mean to step on your dreams; they seek to temper your expectations, and to inject their own reality into your sometimes fantastic aspirations. But if you seek to live your own life truly, you have to ignore everyone else and barrel forward. Otherwise, you will be living other people’s lives, hemmed in by other people’s expectations and limitations. This brings me to my final leadership learning. For the past two years, I have written about a groundbreaking, all-women, special operations team recruited to serve alongside Army Rangers and Navy SEALs in 2011, while the ban on women in combat remained very much in place. These women taught me the power of “embracing the ‘and.’” They were, and are, incredibly fierce, driven and fit. They also are hilarious, warm, and feminine. They showed that you could love CrossFit and cross-stitch. Be tough as nails and paint your nails. You could love to bake, and love to bust out 25 pull-ups from a dead hang. Wear body armor and mascara. And the latter did not make you even a fraction less serious about the former. They lived the “and” every day, in the way that women do all around the world, but that we so rarely speak of. These women showed that leaders come in all sizes and shapes, but that character and courage know no bounds. And no gender, either.